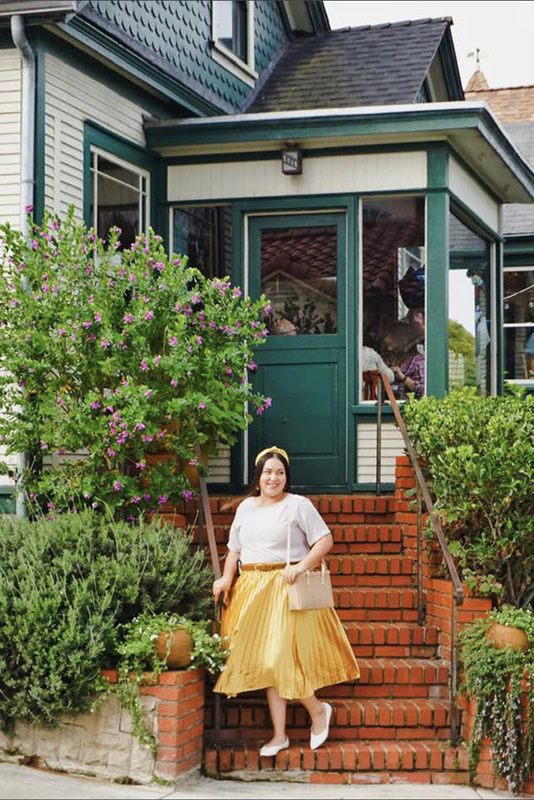 Crema Pacific Grove | Take a Day Trip to Pacific Grove with Fashion Blogger, Brunette of Vantes! 31 Jan Take a Day Trip to Pacific Grove with Fashion Blogger, Brunette of Vantes! Pacific Grove is only a 40 minute drive from my house, and yet, I had only been there a handful of times in my life. It’s not that I wasn’t interested in exploring, I just figured it was a small town with not much going on. But after a sunny Saturday playing tourist with Joey in PG, I realized one day was probably not enough time to get to know this quaint town by the sea, rightfully donning the title of Butterfly Town USA. Our first stop of the day was brunch at Crema. I had been here once before with a friend who actually lives in PG. It’s her favorite restaurant and so I figured it may be nice to stop by a second time and order something I didn’t get a chance to try on my first visit. The first time I was here, I tried the Crema Crab Cakes and Eggs. They were amazing, melt-in-your-mouth delicious! And I don’t even really like seafood, but these were under the House Favorites list so I just had to know what the buzz was about!